And there's me thinking I didn't like poetry. 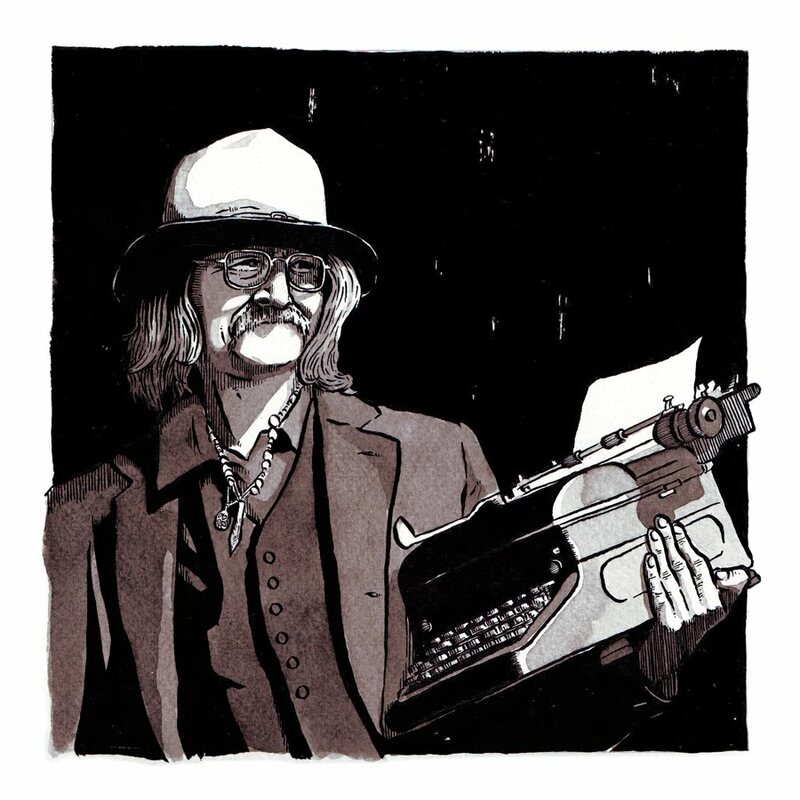 I stumbled upon a battered copy of Richard Brautigan's 'Trout Fishing in America' last summer in San Francisco off the back of a vague recommendation and have since become a bit obsessed with him. This portrait is my favourite one yet. Every time I think I'm done doing them I find myself wanting to do more and more. I absolutely love this blog post and the portrait of Richard Brautigan is just marvelous.